We Texans love to be number one. We like to say, "don’t mess with Texas" and "everything’s big in Texas." These sayings embody our pride in our state and our collective spirit to do things well and right and for the greatest possible impact. This winning attitude is often evident on Texas athletic fields, in Texas board rooms and with regard to our stellar reputation in philanthropy. But we excel at some things that do not at all reflect well on us. Texas ranks number one among all states for its mercury pollution and we are first in the entire nation in mercury pollution from power plants. I recently wrote about the fact that Texas is on the "Toxic 20" List of the most polluted states. The fact that Texas ranks #13 is misleading. Being #13 on the pollution short list is terrible. And still, this ranking does not even begin to disclose the trouble we are in here in Texas. 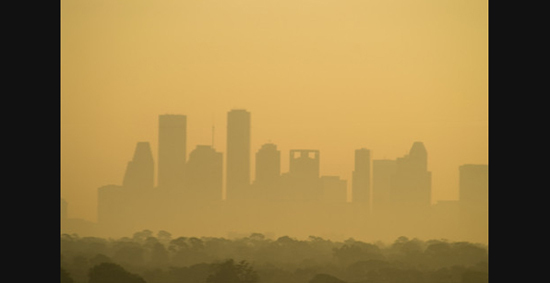 Air Alliance Houston – This is the organization that merged with Moms For Clean Air. They still utilize mothers as activists and community liaisons. CLEAN (Citizens League for Environmental Action) Houston- The CLEAN website offers lots of information and ways to act. Then when you are all informed and furious about the poor quality of your air and how it is making Texas kids sick and poorly functioning, JOIN Mom’s Clean Air Force. Send the message–DON”T MESS WITH TEXAS MOMS! Go HERE to join.